If you look the Facebook or Instagram feed of your friends, you will see a lot of Selfies, that`s because is the smartest way to get an individual or group photo without leaving someone out or to capture an auto photo without having to ask a stranger. 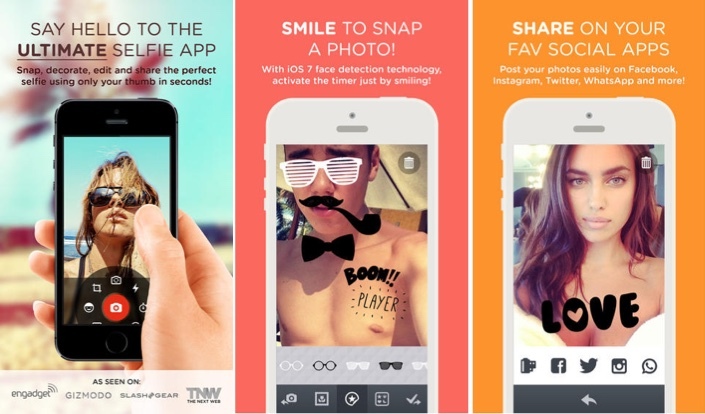 Today we want to introduce you to an app for Selfie Lovers. Its name is Selfie Cam App and works in any iOS device. 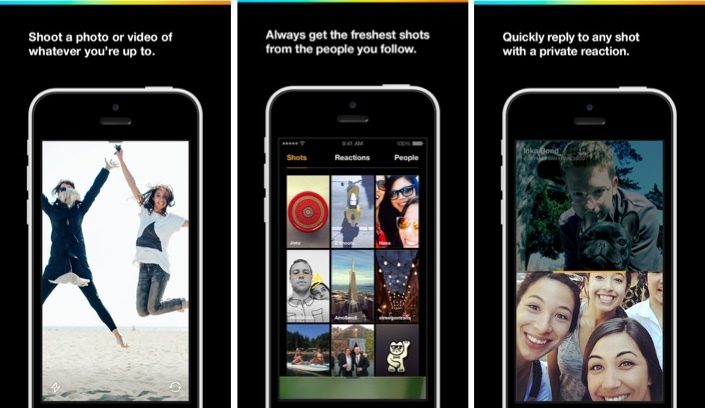 The developers says that you may be able to take the perfect selfie. If you drive, you never know if your trip to the mall may take you 15 minutes or 30 because the traffic. There is an app that every driver needs to have named Waze. Waze, defined for their developers as a social GPS, is an app than not, only shows you how to get to a different place and address, but also you the shortest way one using real time information. Waze is 100% free. Have you been in the situation when you write and post something to Facebook, to regret it immediately, but the damage was already done. 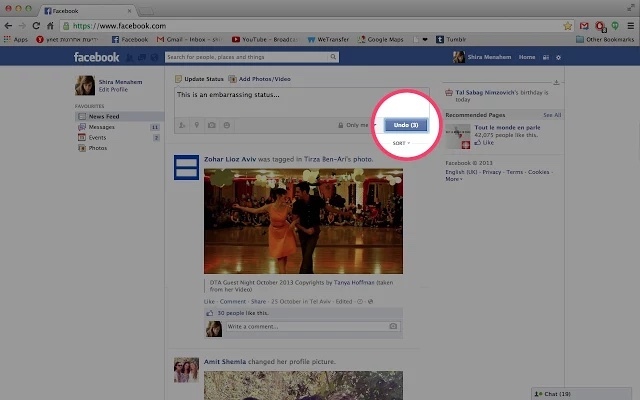 You can edit it or delete it from Facebook, or use Facebook Undo. This Chrome extension, gives you five seconds to erase the message has been posted before. Facebook Undo integrates into Facebook interface, so you don´t need to open a different page, just click over Undo. Smartphones come with a limited storage space and, the Operative System takes several gigas, so users are left with little space. Even if you use SD Memory Cards, you`ll need more space. 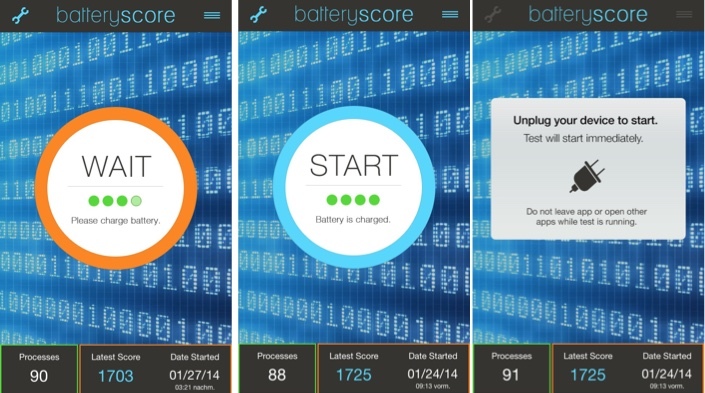 If you have a Samsung Galaxy, there is a tool for that. 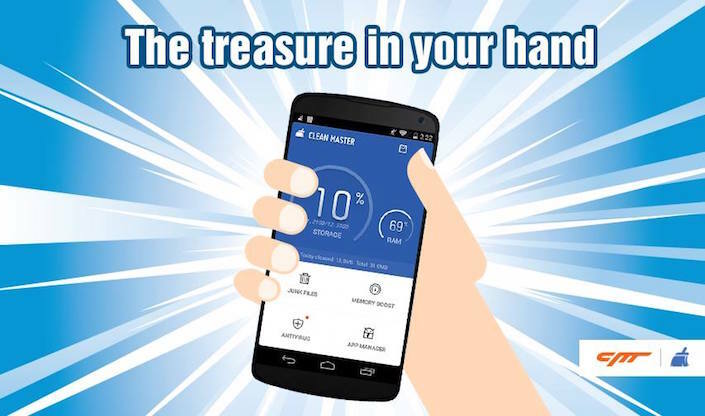 Clean Master is a free app for Android that checks our phone for garbage, freeing up internal storage space so you can use it with important stuffs. This tool has a lot cool features that you should definitely try. This days, privacy sounds like a right from the past but, if there is some apps that can give you back some of that privacy that you want when you browse the web. If you have a Mac computer, you should try Epic Browser. Mac OS X comes with Safari, but you can also instal Epic Privacy Browser for Free and if security is important for you, give it a try, because this browser avoids that a website can follow you and access to your information. Android Mobile Phones are great to take amateur photos but, if you use a good app, you can transform any photo into an almost professional one. 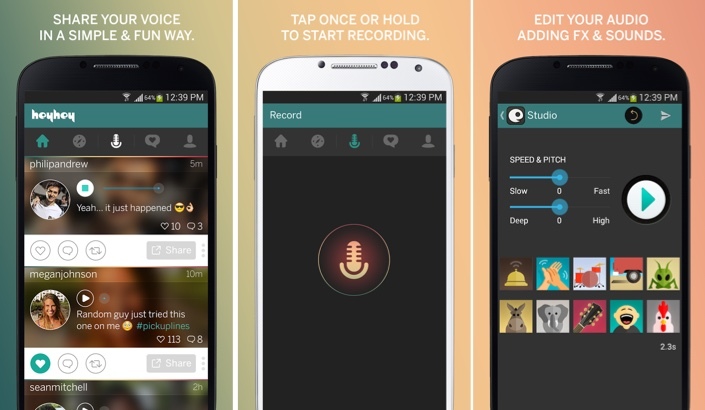 For Android, the best app is Aviary, a free photo editor. Aviary, who also has an iOS app, has tools for every kind of user; from basic to almost pro, this free app has something for every need, that´s why Aviary is such a great alternative to other editors.